Here’s an easy-peasy recipe you can make and sell that can win many people’s taste. Desserts are staple items in every occasion and even in simple gatherings. It is a must-served food that wraps up everyone's eating experience. With its sweet taste that gives a naturally comforting effect, there's no doubt that sweets are the perfect ending of any scrumptious meal. While there may be desserts that are quite challenging to make (because some ingredients are hard to find or procedures are too complicated), there are also sweets that are very easy to prepare. And for entrepreneurs, there's nothing more satisfying than a dessert that's easy to make and sell. 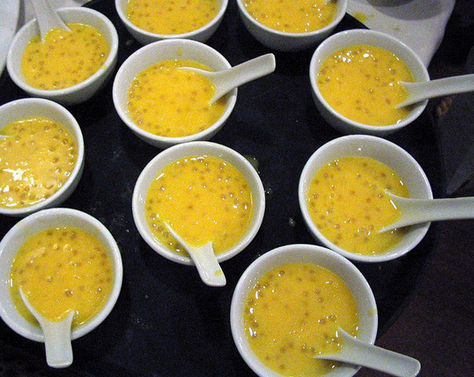 One example is this mango sago recipe. 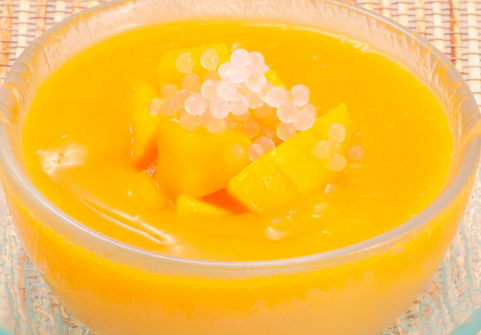 With mango, tapioca pearls, and milk as its main ingredients (which can be bought in any supermarkets or even sari-sari store near you), you can do it at home for a part-time business or even full-time because it's simple and easy. A little bit of cooking and mixing is all you need to make one. Here's a recipe you can try for your own startup business. 1. Soak the sago in cold water for 15-20 minutes. 2. In a pan, boil water and then add the tapioca pearls. Stir well and remove when the pearls are translucent enough. 3. Run cold water on the sago. Drain and set aside. 4. Cut the ripe mangoes into cubes. 5. In a separate bowl, mix the evaporated milk, sugar, and mango juice. Stir well until sugar is dissolved. 6. Add the cubed mangoes and stir constantly. 7. Add the tapioca pearls and mix well.